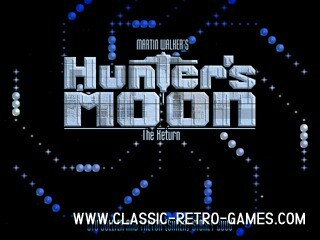 This Hunters Moon remake for PC was created by Ovine by Design, a group that has delivered many other fine remakes for Windows. As with most of their remakes the game has been polished and remade to look en feel more modern. However its gameplay remains the same of course. 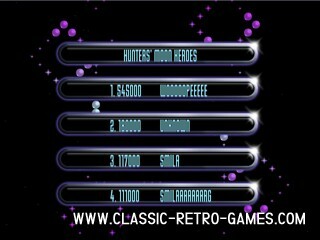 Hunters Moon is an excellent action puzzle shooter that was originally on Commodore64. 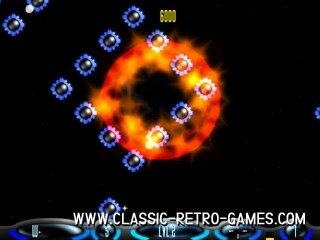 The screen does not scroll sideways, but you are moving in all directions, much like Asteroids for example. While shooting you're also supposed to get yourself out of trouble when you get stuck inside a structure. Adding some level of puzzle action to the game as well. 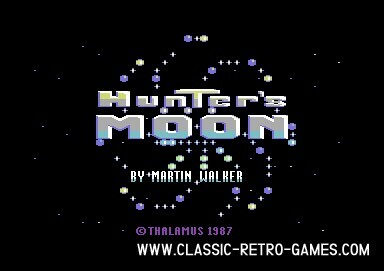 If you have enjoyed this game on C64, make sure that you check out this remake. It's fun and plays very well! Currently rated: 3.8 / 5 stars by 11 gamers.